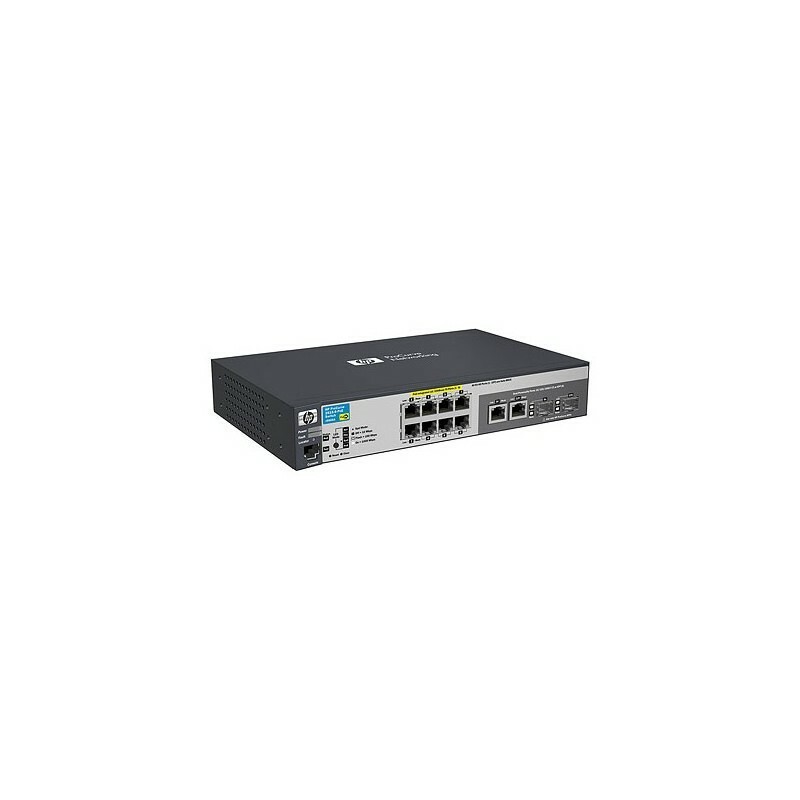 The HP E2615-8-PoE Switch is a fully managed 8-port 10/100 switch with an additional 2 dual-personality Gigabit ports for copper or SFP connectivity. Together with static and RIP IPv4 routing, robust security and management, enterprise-class features, a free lifetime warranty, and free software updates, the HP E2615-8-PoE Switch is a cost-effective solution. The HP E2615-8-PoE Switch is fanless, providing quiet operation and making it ideal for deployments in open spaces. In addition, the compact form factor allows for flexible deployments, including wall, surface, or rack mounting. These switches can be deployed at enterprise edge and remote branch offices, as well as converged networks. • Choice of management interfaces: Web graphical user interface (GUI): easy-to-use graphical interface allows configuration of the switch from any Web browser. Command-line interface (CLI): robust command-line interface provides advanced configuration and diagnostics. Simple Network Management Protocol (SNMPv2c/SNMPv3): allows switch to be managed with a variety of third-party network management applications.